There is very easy and simple way to evaluate the Mathematical express in C# using data table in built method called compute. //Logical operators: && || ! public int intPublic; //unrestricted access. protected int intProtected;//own or derived class. protected internal int intProtectedInternal;//own assembly or derived. private int intPrivate;//own class only. //All are accessible in same class. //Private members are not accessible in derived class. //Only Public, Protected Internal And Internal are accessible in another class. Small type that have their values allocated on the stack in memory. Cannot be null; must always contain data. When passed in method (by val), they are coped as new objects.So the original value will never change only the copy will change. Cost is low on performance and memory because values are small. 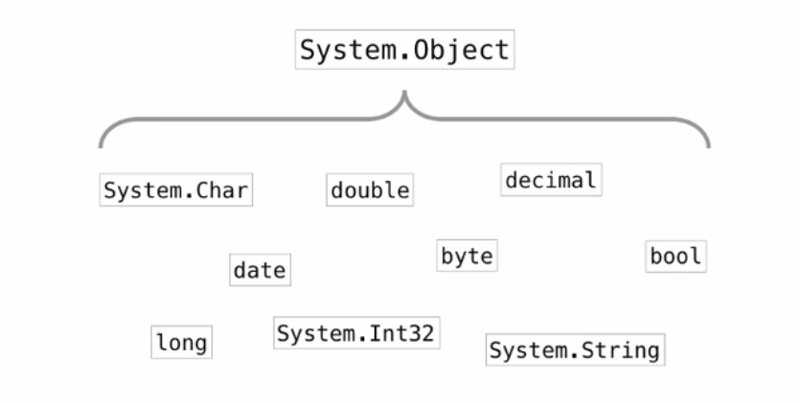 Derived from system.valuetype and are sealed (it cannot be inherited). Can consume significant resources but have more features. Can be null and reference to heap-based (.Net managed) objects. When passed in methods (by ref) only a reference to object is passed. Changes to reference data change the source. No wasted resource because a copy of the object is not made. Cost is an issue with performance and memory because references need to be managed by .Net and must be garbage collected. When we develop an application we do the exception logging using various ways. For example, logging exceptions in database, writing in text files, sending emails and etc. In this article we will see how we can log the exceptions in window’s event logs and how to read the same. To log exception in windows event log, you first need to import the System.Diagnostics name space to get the access of classes required to log the exceptions. Below is the simple code which is logging the “divide by zero” exception. // Register the event source if needed. // it will be created automatically. When you open the Windows event log you will get the exception source as “DivideByZeroApp” and on double click of that exception actual exception logged using Exception.Message property. To read the exception from windows event log, below is the code. // Write the event entries to the StringBuilder. 1) Decompose Conditional: It means though conditions can be read easily even if they are complex in nature but can be difficult in future to read by another developer so break them in the form of method. and we have organised it by replacing the temporary variables. 2) Consolidate Conditional Expression: If you have code like below where you are checking multiple conditions and returning the common output then you can club those together. Then what you can do, you can create a common method which will check these conditions and return the output. 3)Consolidate Duplicate Conditional Fragments: It deals with the duplicate code, for example assume that you are performing some conditional checks, if condition meet then you are doing some calculation and the assigning the calculated value to a variable and then value you are passing to a function and same code you have return multiple time, then you can take out that code out and write only once.